Since my last post on our Christmas kitchen, I have added a few more things! 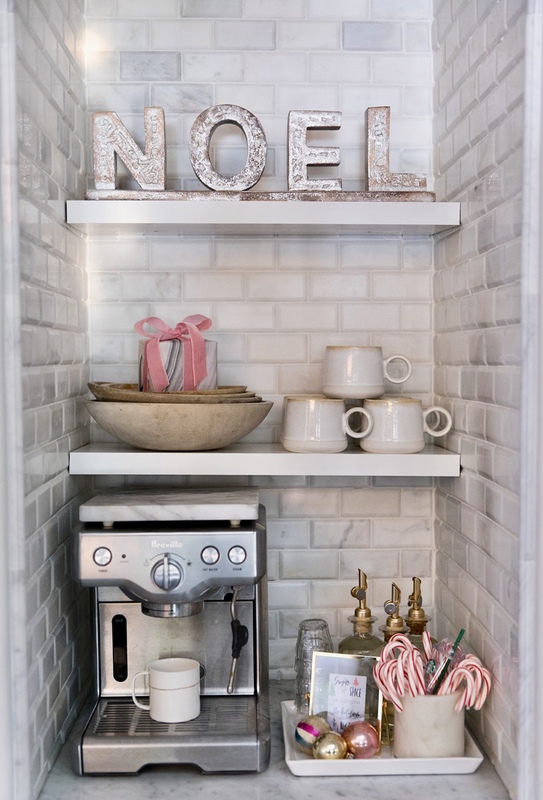 I am also joining in with Pink Peppermint Designs to share with you a plethora of fun holiday kitchen designs. Let's get right to it! 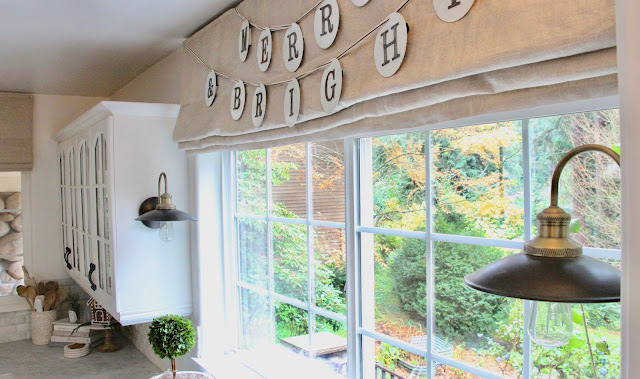 I hung these Merry & Bright metal letter discs from ribbon along our window. I love the dimension they add. I cannot wait till I see snow out that window! I also found this wool rug runner at a thrift store of all places! I was so happy when I found it, I think I literally jumped for joy! The neutral colors are perfect and the texture adds so much to the room. I had a lot of questions on this deer hanging on the wall. I got him a few years ago at World Market. I don't see it there anymore unfortunately. The preserved boxwood wreath is from here, and then I simply added a bow with ribbons and a vintage ornament to finish it off. My coffee station still remains one of my favorite things in our home. You can find a similar Noel piece right here. I just love ours. I collect these wooden bowls. I find them at thrift stores or flea markets, but they also have some here. You can read more about my coffee bar set up here. 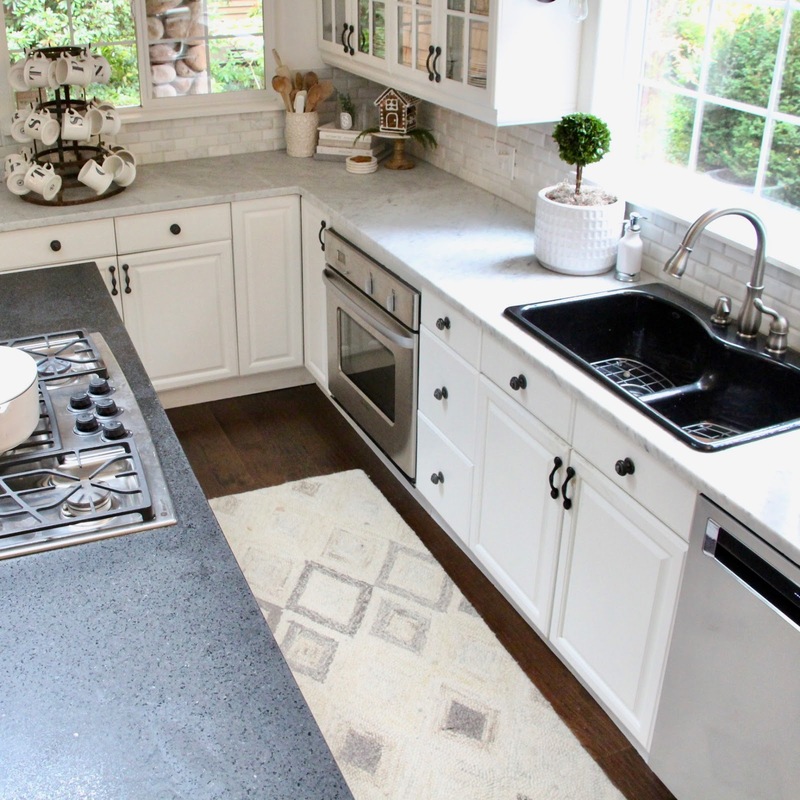 How about some new pretty kitchens to look at? Click the links below to take you there. 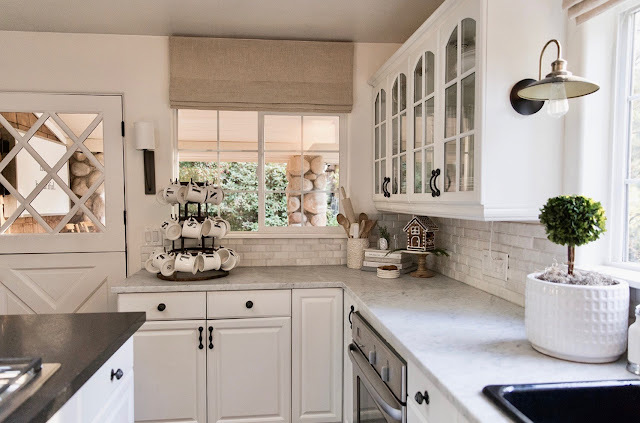 Such a darling kitchen! I adore your coffee bar and the sweet gingerbread house. Oh I love your kitchen and what a find on that rug for sure. I think I agree, your coffee station is fabulous and one of my favorite things. 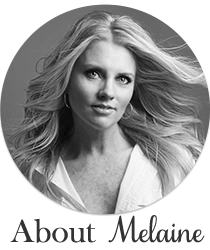 So pretty, Melaine! I always love to see how you're decorating things and your kitchen is so warm and welcoming. Happy to be in the blog hop with you today! 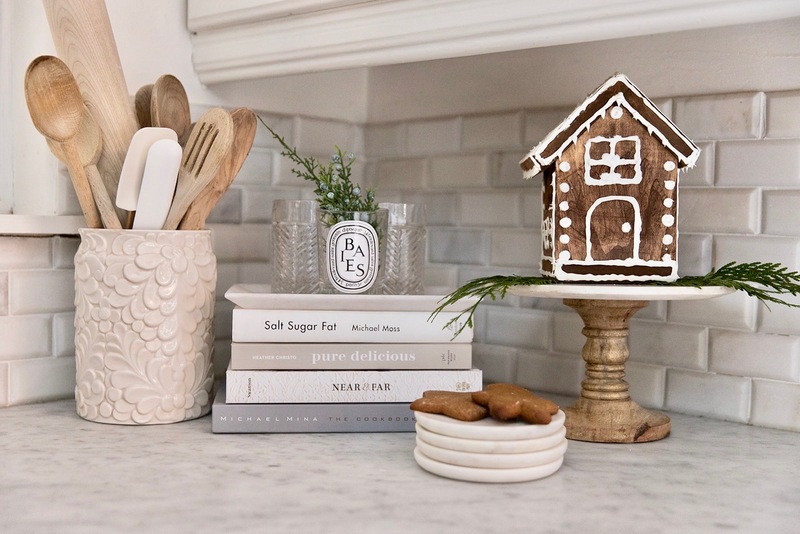 Love your kitchen all decked out for the holidays! 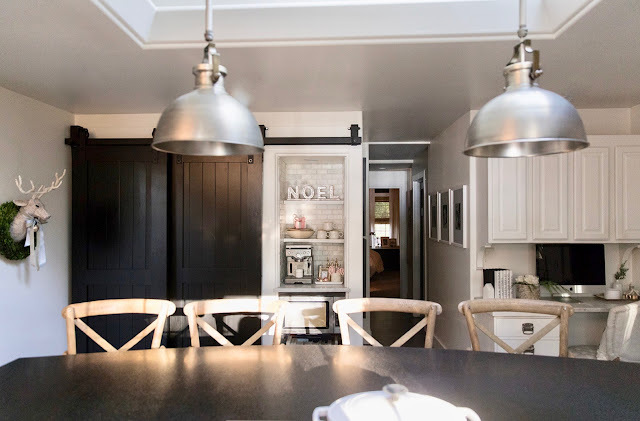 The Noel sign is something I'm also using this year, a big focal point in our small kitchen.